It’s quite normal for people to feel anxious about visiting the dentist, especially if they have a history of poor experiences in the past. At Vision Dental, our Menai family dentist works closely with each patient to truly understand what it takes to help them feel comfortable during their visit. Sometimes, it means utilising sleep dentistry (sedation). Relaxing through your dental procedure can help you overcome the sights, sounds and experiences during treatment. It’s a great way to ensure your safety and comfort throughout the entire visit. One of the ways we do this is by working with a qualified anaesthetist to perform IV sedation here within our Menai dental clinic. It’s an effective way to avoid pain and anxiety without having to undergo general anaesthesia inside of a hospital. 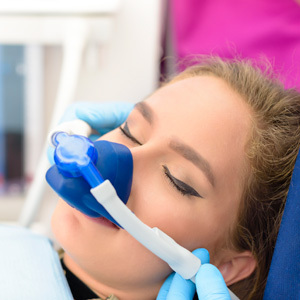 As an experienced sedation dentist, Dr Stephen Suster (Dentist) understands what it takes to help you relax and overcome a phobia of routine dental care. Most dental diseases can be prevented. But when anxiety or fear of the dentist gets in the way, it usually means putting off your treatment. As a result, minor concerns or problems can progress into larger, more painful ones that are often expensive to treat. Early screening and diagnosis of problems like tooth decay mean that we can correct your concerns when they are smaller and simpler. Not only that, it also saves you money. Contact us today to schedule a complimentary new patient consultation. Financing options and payment plans are available.